Every year the Center for Management and Organization Effectiveness (CMOE) analyzes the social sharing patterns of leadership blogs. They publish the results each January. For the third year in a row, The People Equation has made the list. 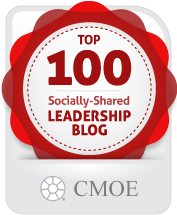 See the full list here: The Top 100 Socially-Shared Leadership Blogs of 2015. I’m grateful to CMOE for doing the heavy lifting of analyzing the stats. It’s helpful to figure out where my readership resides, social media-wise. Frequency of posting doesn’t always directly correlate to number of social shares. The #3 blog, Robin Sharma, only posted 35 times in 2015. Other blogs posted nearly 10 times that amount and were ranked much further down the list. For those of us who get a lot of Tweet activity, our rankings suffered this year, as CMOE didn’t include Tweets in their social share numbers. Here’s my overall take: the conversation end of blogging is dominated by Facebook. No surprise there. Writers like me need to find a way to link our ideas, personal brand and the “real estate” of our blogs to the platforms that invite conversation. And for now, love it or hate it, Facebook still reigns supreme.